Lecturer in The City Law School, Dr Mara Malagodi and her team have been awarded the prize for Best Documentary Short for their entry, Walking Through Havana. Dr Mara Malagodi, a Lecturer in The City Law School, is part of the winning team which has carried off the prize for Best Documentary Short, Walking Through Havana, at the 2015 Raindance Film Festival. 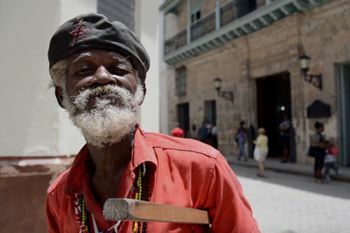 Walking Through Havana is an 11 minute documentary film directed by Melek Erdal, Akari Izumi, and Mara Malagodi, produced by staff at Escuela Internacional de Cine y Television (EICTV) in San Antonio de los Banos, Cuba. “We wanted to make a film that captured the lives of the people of Havana, their struggles and their hopes, and to reflect the humanity and the irony that we came to love so much about life in Cuba”, said Dr Malagodi. The film was also the final project of her participation in the 2014 University College London (UCL) Documentary Film Summer School at the EICTV, funded under the British Academy Postdoctoral Fellowship scheme. 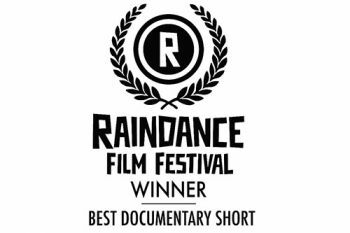 “I am overjoyed that Walking Through Havana was awarded the prize for Best Documentary Short at the 2015 Raindance Film Festival, one of the most exciting independent film initiatives in the world. It is an incredible honour. I am very grateful to my co-directors for the amazing journey that we’ve shared, to our mentors, renowned Cuban director Enrique Colina and UCL Professor Stephen Hart, for inspiring us every step of the way, to the incredible staff at EICTV for their professionalism and good humour and to the British Academy for supporting my training in documentary film”. For her, documentary film is a vehicle for capturing and discussing complex issues in a sophisticated yet accessible way: “More and more academics are becoming involved in film-making. I don’t see the two as mutually exclusive but complementary. Research is at the heart of documentary film and dissemination of findings is critical to research. When writing the script, scouting for filming locations, interviewing people and editing the footage I felt that there were many similarities with the way I conduct my academic research, fieldwork, and writing. It is two languages of creativity that complement each other. One inspires and improves the other”.